I am happy to have reached a new milestone: 1350 LinkedIn followers. I am particularly grateful to all of my new followers coming from different industries. As most readers have known, I have started a new position as a SAS administrator so lots of my new followers are coming for SAS, cybersecurity and systems administration. I am happy that I am getting people from different industries. I received the DC Department of Employment Services (DOES) Hard Work and Dedication Award. My training officer nominated me. I was grateful to receive this award and recognition. 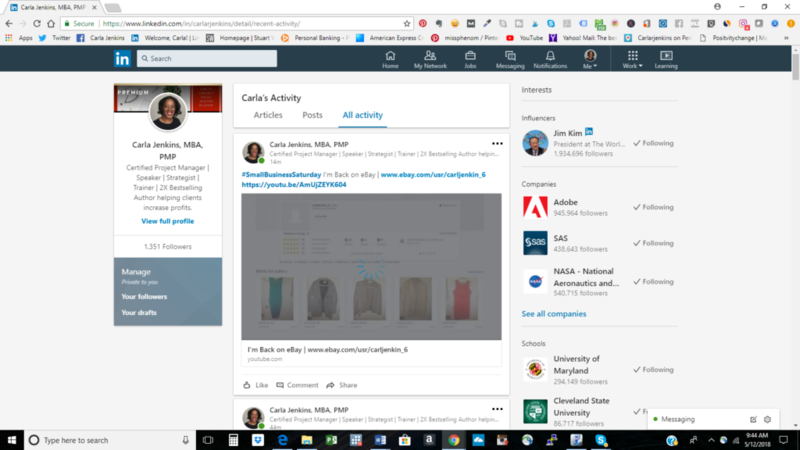 Hitting the 250 LinkedIn Pulse articles. I have been getting inspired by all of the lessons that I have learned from my most recent job. I have always promised my audience to write actionable content that would help them. I have returned to LinkedIn Profinder. I am partnering with businesses in project management, program management, brand management and personal branding.